How to Relieve Ibs Symptoms? IBS is thought to affect nearly 15 percent of the population. There is no known total cure for the disease, so treatment is aimed at alleviating the symptoms, which vary according to whether diarrhea is common (IBS-D), constipation is common (IBS-C), both are common (IBS-M), or neither occurs very often (IBS-U). Treatment falls into three broad categories: medication, diet, and counseling. For example, a physician may prescribe an anti-diarrheal for a patient with IBS-D, along with dietary changes, while a stool softener may be prescribed for a patient suffering from IBS-C.
A diet low in FODMAPs (fermentable oligo-, di-, monosaccharides, and polyols) is recommended and has clinical evidence to support its effectiveness. All patients are instructed to increase their fiber intake, which tends to produce bulk and more consistent stools and to avoid fructose and lactose, which tend to aggravate intestinal disorders. Due to the pain, potential embarrassment and lifestyle changes that IBS frequently causes, a patient may benefit from counseling sessions. Additionally, some patients experience relief of physical symptoms when taking certain types of antidepressants. 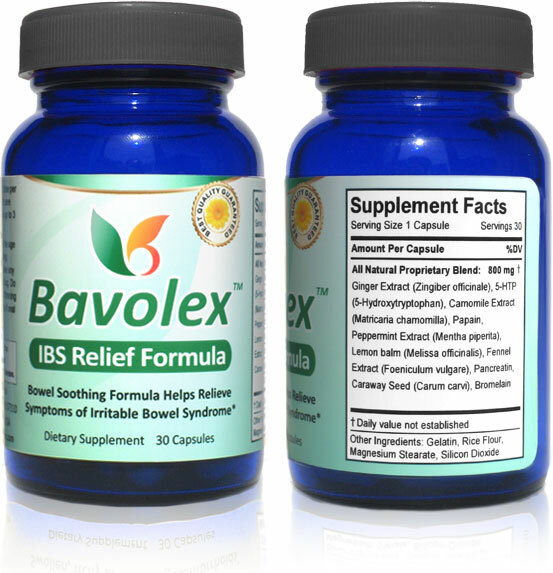 Many people do not like taking pharmaceutical drugs, and they prefer natural alternatives such as Bavolex IBS relief to relieve IBS symptoms naturally. In the U.S., roughly 15% of the individuals have experienced IBS. It usually begins in young adults or adolescents. It affects almost twice as many women as men. IBS is often connected with anxiety. Stomach pain is a problem for people who have IBS but it doesn't cause organ damage or cancer. The person struggling with IBS may get hemorrhoids or depression when the condition does not get healed fast. Why does Irritable Bowel Syndrome Happen? Medical doctors think that IBS may be caused by a neurological issue. The brain transmits messages to the intestines, and vice versa. If the person is stressed, the brain's performance affects the movements of the intestines. The intestines move food either too fast or too slow. Due to the condition, bloating and constipation or diarrhea and painful cramps can happen. IBS is linked to anxiety, stress, and sleeping disorders. People most likely opt for OTC drugs that fix diarrhea or constipation but only temporarily. The relief isn't long-lasting. It does not solve the source of the issue. Since IBS is strongly connected to anxiety and stress a physician may prescribe an anti-anxiety drug. Although these may somewhat help IBS, many people develop dependence. Make sure you know exactly what chemicals are in the drug, so you know what side effects you get from taking them. If you use Bavolex daily and follow the tips in our eBook, you will see a noticeable improvement in less than a week. We want to make our customers happy and healthy, and that's why we offer a 60-day money back guarantee. Our promise is simple: If you don't see great improvement, we do not want your money! Manufacturing safe products is extremely important for us. Bavolex™ contains natural extracts from herbs and plants that are generally considered safe. Although numerous customers use Bavolex each day since 2009, no serious side effects have been reported. As is the case with many other products you should not use Bavolex products if you are pregnant or nursing because the effects on fetus have not been studied. You should not take Bavolex if you are using antidepressants or blood thinning medication. 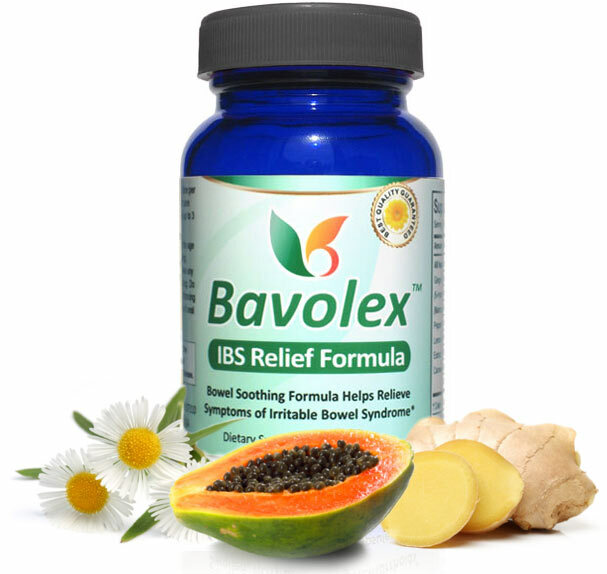 "Bavolex IBS Relief Formula is a dietary supplement made with natural extracts and enzymes to help control symptoms of IBS. 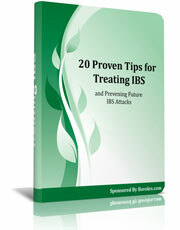 *"
Learn 20 tips to get rid of IBS attacks forever. These tips cover ways to prevent an IBS attack, stress reduction, and diet. This valuable eBook is a lesson on simple lifestyle changes. A priceless information for those who want to put an end to this embarrassing inconvenience today. What Are IBS Symptoms? One is constipation, often accompanied by stomach pain, bloating, infrequent bowel movements, and lumpy or hard stools. What Causes Ibs? The patient may suffer bloating, abdominal pain or cramps, gas, nausea, back ache, and a bloated stomach. What Effects Ibs? Treatment may include stress and anxiety reduction exercises, cognitive behavioral therapy, and medications, over the counter initially but prescription strength if conditions worsen.